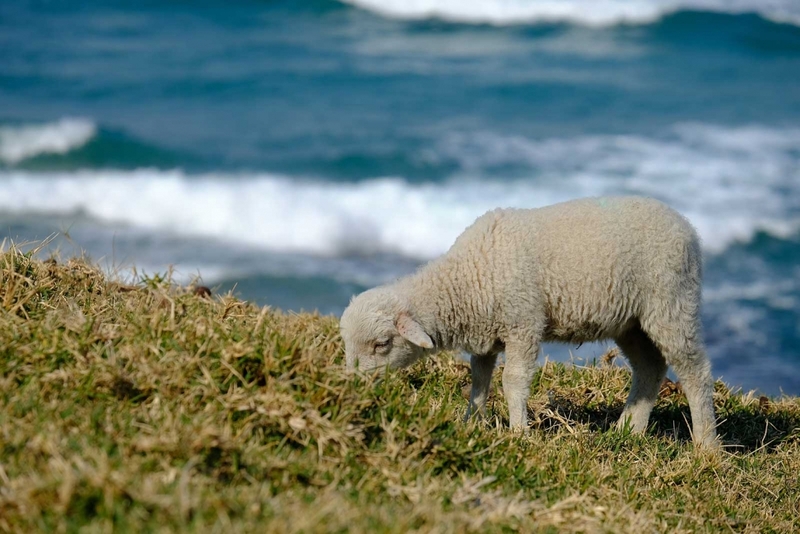 Wild Coast – sounds kind of interesting, right? That’s why we want to go there. 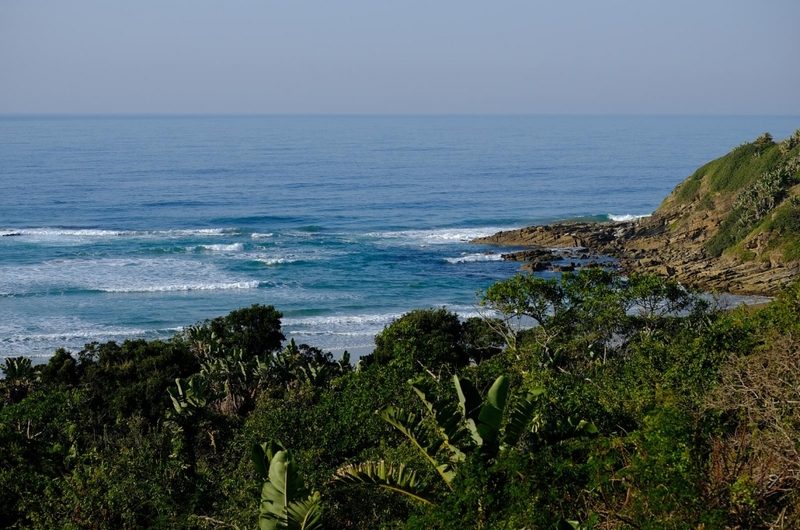 ”Take good care of yourself!” and ”Do not be seduced by beautiful-sounding place names, just drive trough and never ever stop!” these and similar advice accompany us when we bravely hit the road from coastal town Salt Rock via Durban towards Wild Coast in July. 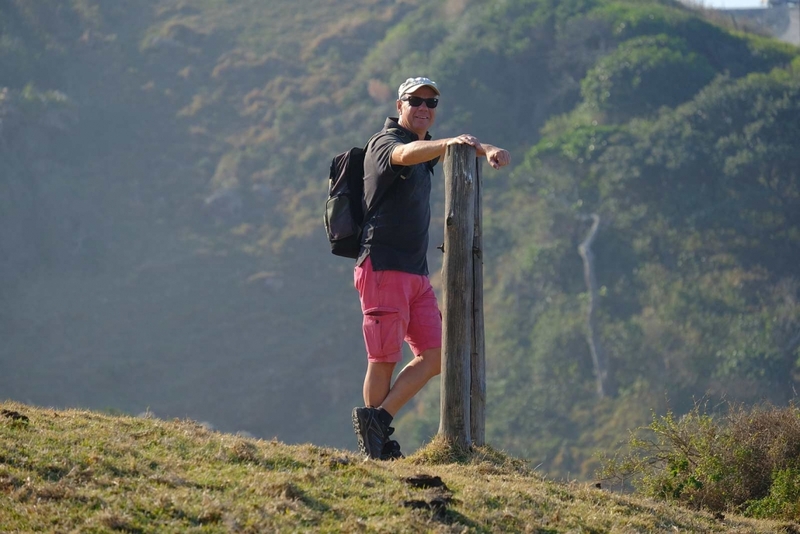 Before we finally plunge into the uncertain adventure Wild Coast, we find yet another kind of thrill on Lake Eland. 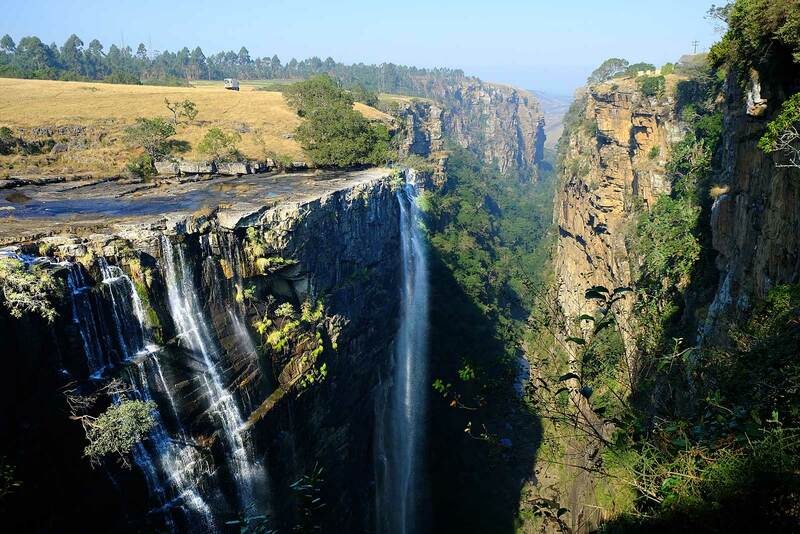 We dare an exciting zip line tour over the Oribi Gorge. 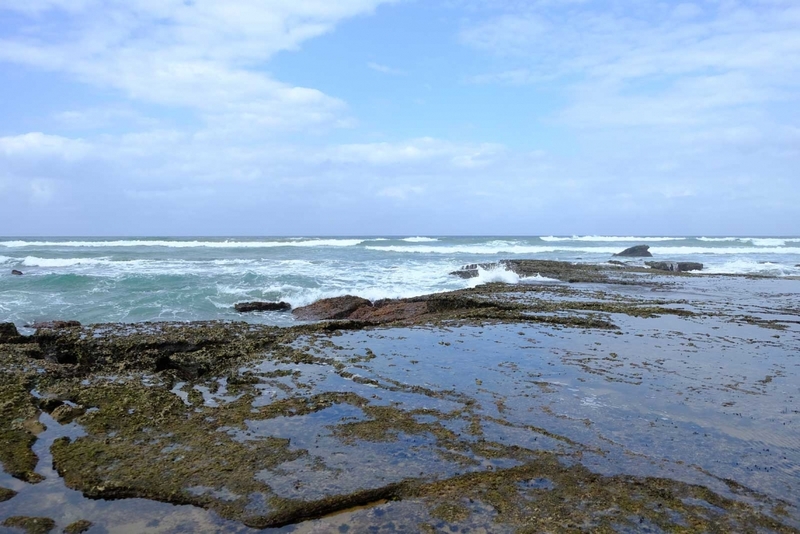 The tip for this adrenalin kick is provided by Lynnè, Grant, Carola and Jan from Durban, whom we meet in Salt Rock. With a helmet on our head and a seat belt under the buttocks, we hang on taut wire ropes and roar over the often frighteningly deep abyss at speeds of up to 75 km / h from station to station. It is reportedly the longest zip line tour in Africa with a total length of over four kilometers spread over 14 stations. The individual cable routes are between 120 and 680 meters long. For one and a half hours we whiz cheerfully from platform to platform. While my adrenaline thirst is satisfied for now, Win comes back for seconds. 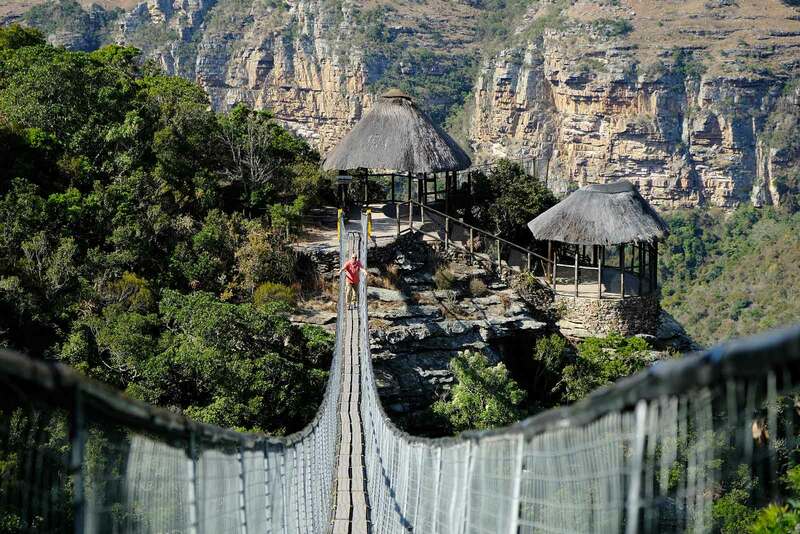 On an 80-meter long suspension bridge he contentedly walks over the spectacular Oribi Gorge, deep below him the Mzimkhulwana River. What a feeling! Search for Win. Can you find him? What’s up with the Wild Coast? And with the admonitions to increased caution? 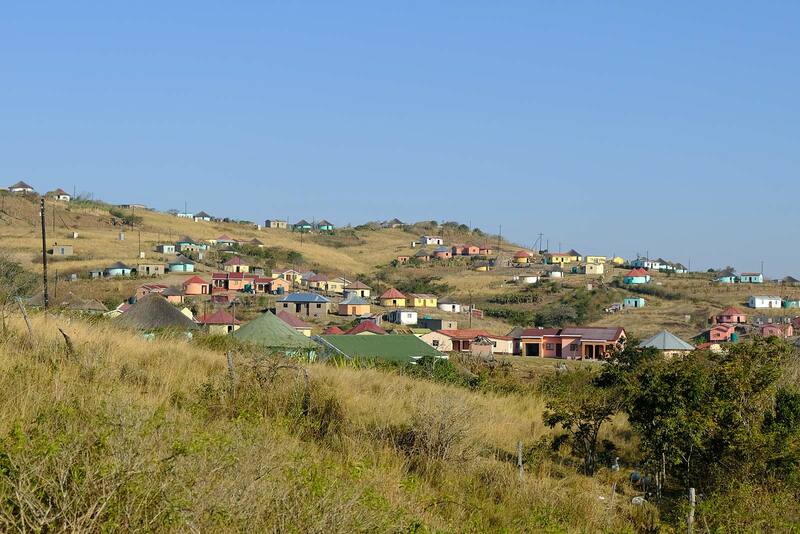 The region of the former Transkei, in the days of apartheid a ”state-independent” homeland, is considered to be particularly poor and structurally underprivileged. Again and again reports of thefts or robberies in this area are reported. The city with the cute name Lusikisiki, for example, is not very well-reputed in that point in South Africa. 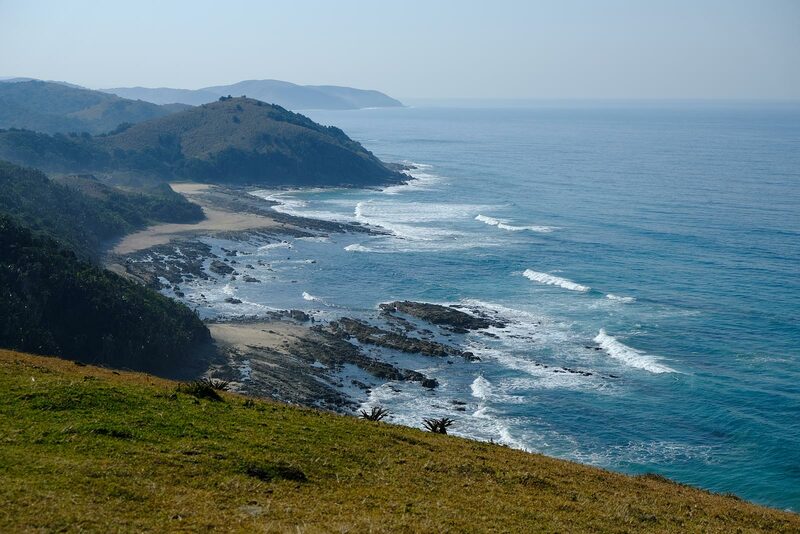 On the other hand, the Wild Coast is very popular with hikers and nature lovers. 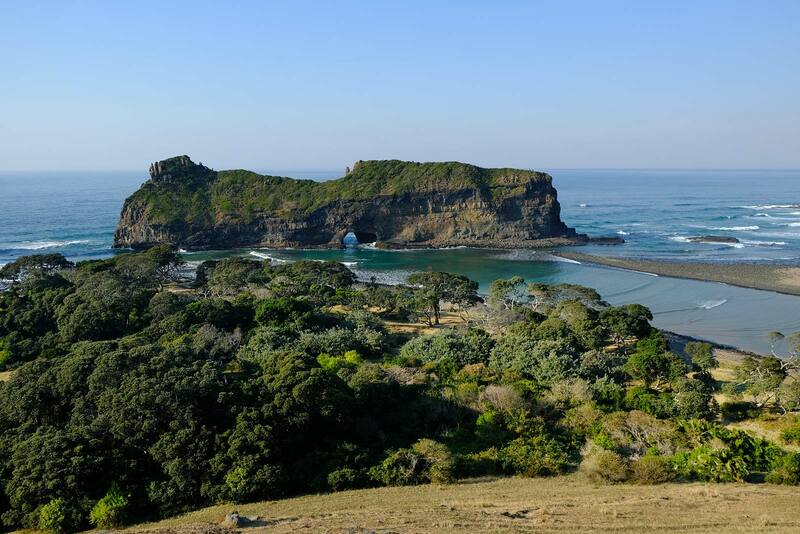 Untouched nature, subtropical forests, imposing waterfalls, vast rolling hills and the picturesque bays on the Indian Ocean offer a fantastic nature experience. 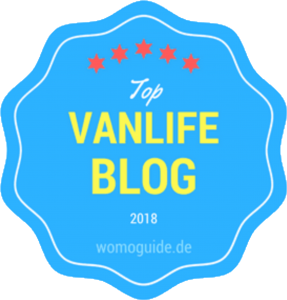 Very popular are the guided hiking tours along the coast that are accompanied by local guides, last some days with over night stays at simple, often private hostels. 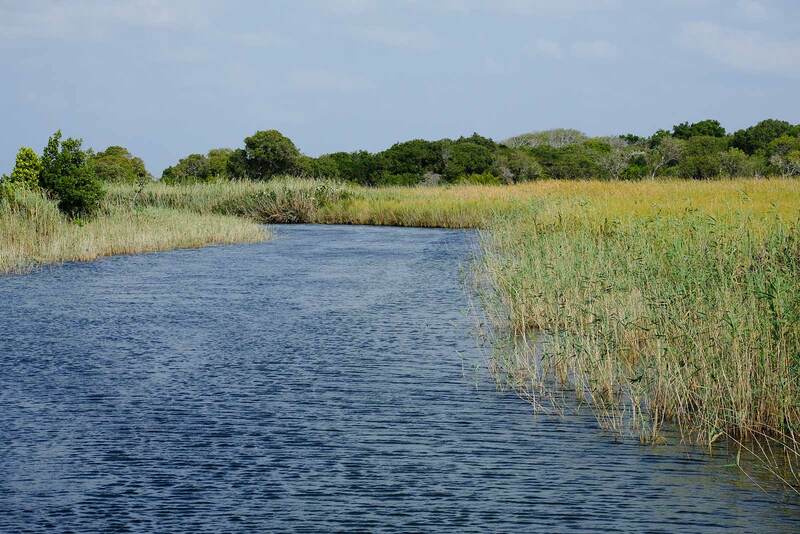 The coastal region is very rural and still relatively poorly developed. Chic beach resorts with big hotels or a comfortable coastal road like the Garden Route in the Western Cape do not exist here. Everything is a bit more contemplative. The golden hills of the wintry landscape appear as if strewn with sugar sprinkles through the scattered colored houses and round huts of their inhabitants. We do not succeed in recognizing the end of one village and the beginning of the next. 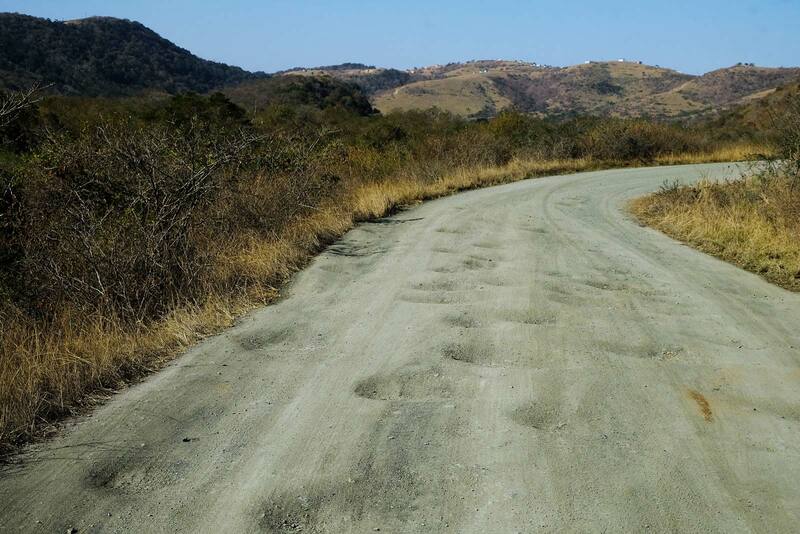 The roads are bumpy dirt roads with deep potholes that force us to slow down. 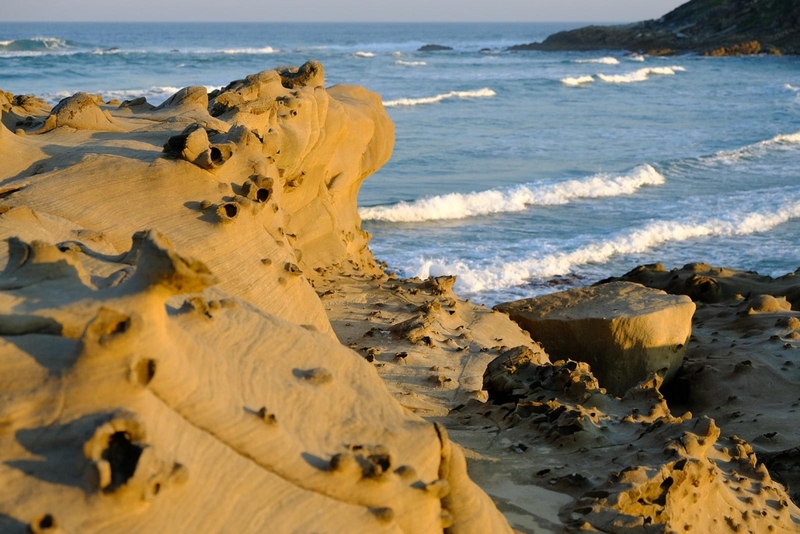 They often are just dead end roads leading to the beautiful beaches and rugged cliffs of the coast and back again to connecting roads. It takes quite a time and we’re happy not to be in a rush. At the side of the road we have a chat with a farmer who is just tilling a cornfield with his people. He wants to know where we come from. ”Germany, that’s a rich, stable country. Everything is organized.” is his belief. ”The young men here are lazy and prefer to lie in the sun instead of working” he complains. ”That’s why I have eight women and only three men working for me. It’s a pity.” He finds it hard to imagine that a German average family has one or two children only. ”Why is that?” he asks in surprise. Having five or eight children is ultimately normal among the black population of South Africa. On the way we meet friendly greeting men and women, happy waving schoolchildren, crowded minibuses and other motorists. 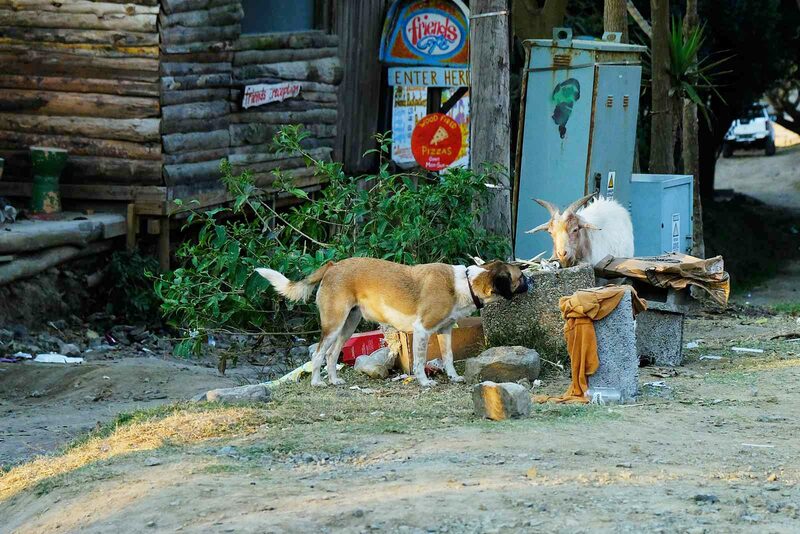 Every now and then we share our roads with cows, sheep, pigs and goats. Everyone is on the road without hurry like us. That’s how we like it. And we have fun with cows, who delightfully nibble the juicy leaves from the bushes in the middle of the tea field. For our trip to the Magwa Falls we drive through the Magwa Tea Plantation, the largest tea plantation in the southern hemisphere they say. 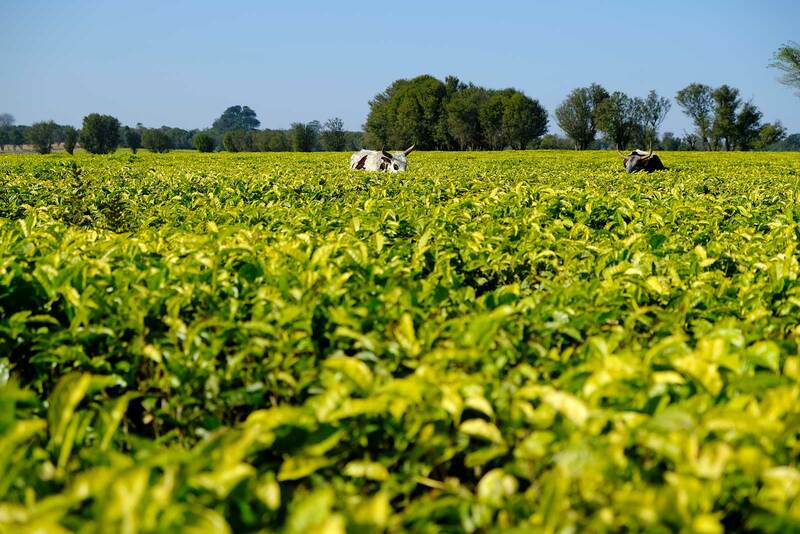 We are embedded in bright yellow-green tea fields as far as the eye can see. That’s a beautiful sight! The Magma Falls themselves are almost hidden away in the middle of the tea plantation. We are impressed by the deep gorge where the water plunges 142 metres. 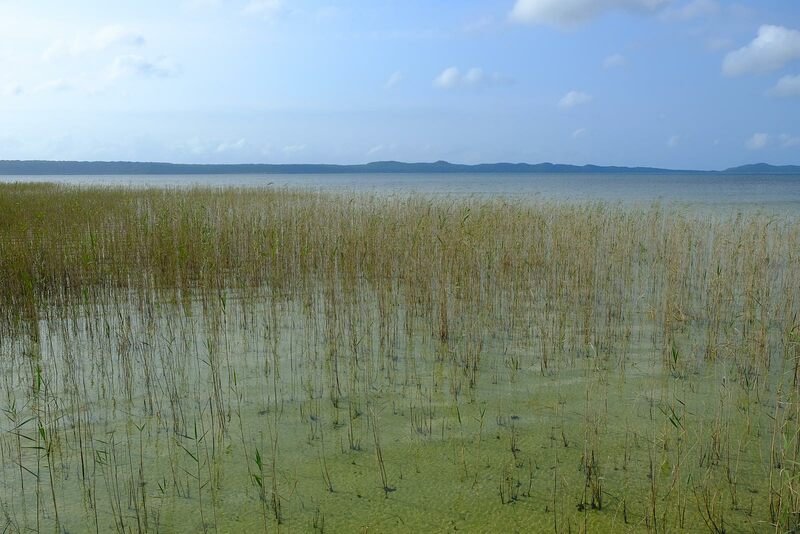 At this time of year, only relatively little water flows, in the rainy season, masses of water rush into the depths and the water curtain is much denser. There is a lot to explore in this region. 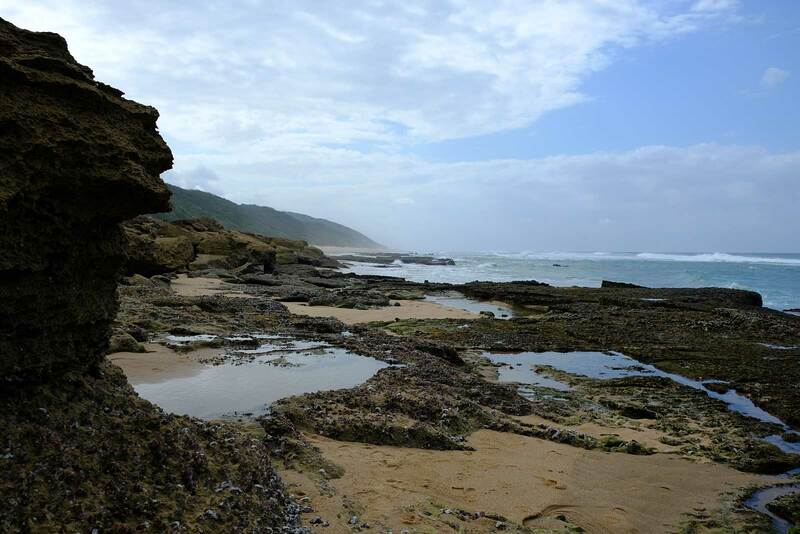 The variety of sceneries the Wild Coast is coming up with is fascinating. Steep cliffs alternate with lonesome bays. Rich forests of palm trees, banana trees, bamboo, and a lot of other different greens edge fine sandy beaches. We haven’t seen South Africa like that before. The people treat us with friendliness and we feel very welcome. Often children wave at us and shout a squeaky „Sweets!“ when we pass them. And although we only wave to them and don’t feed them with sweets they smile and wave back beaming with joy. And with Elize and Olga, we buy the best bananas and tastiest tomatoes we’ve eaten in a long time. With a beaming smile and a happy wave, they wave goodbye to us. On bumpy dirt roads we continue on to Coffee Bay, a small town with hippie ambitions and about 600 inhabitants. 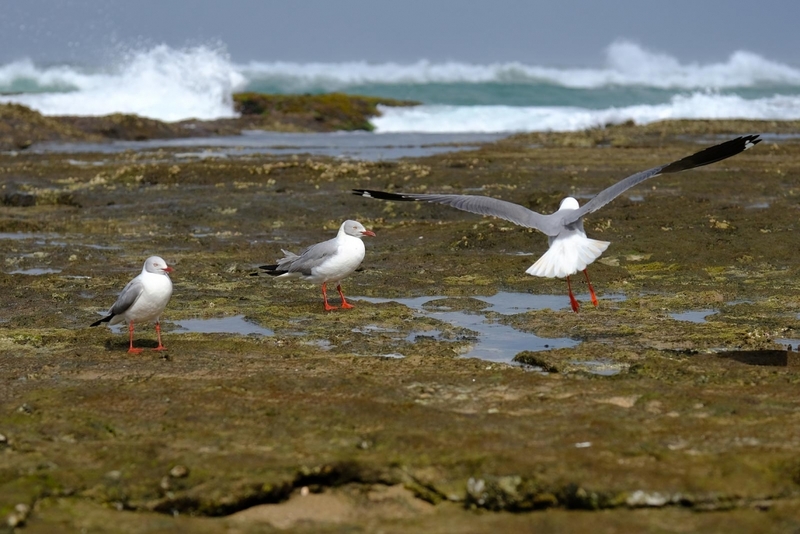 The seaside resort, which is a popular tourist destination in the South African vacation time, looks a bit grubby. Now it is pretty quiet and empty, as everywhere on the coast. Maybe the special charm we miss on first sight is given complete expression only in season. Incidentally, Coffee Bay got its name from coffee beans that were washed ashore when in 1893 a sunken ship off the coast lost its cargo. The beans have sprouted and many coffee trees came out, they say. Today nothing is left of the trees, but the name has remained. Here we meet the good-humored Tamara. She is 26 and, like her six older brothers, still lives at home with her mother. 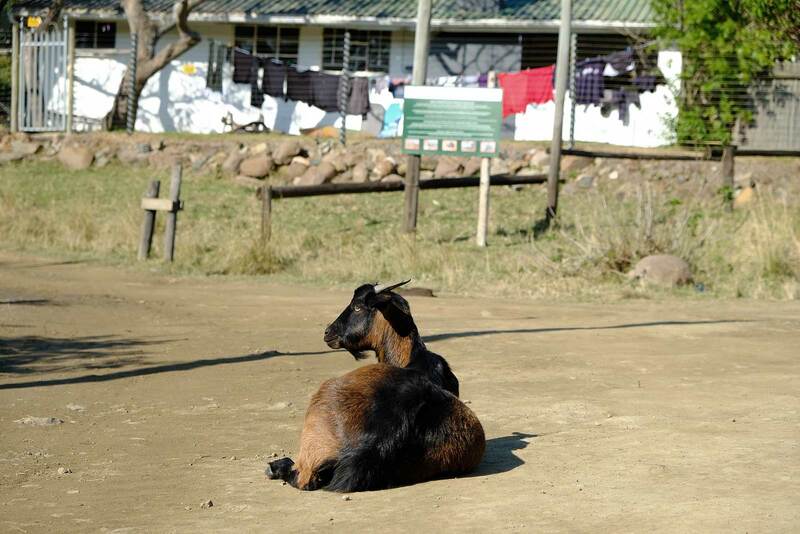 She works at a campsite in town, eleven hours a day for 50 rand per day, about 3.50 euros. 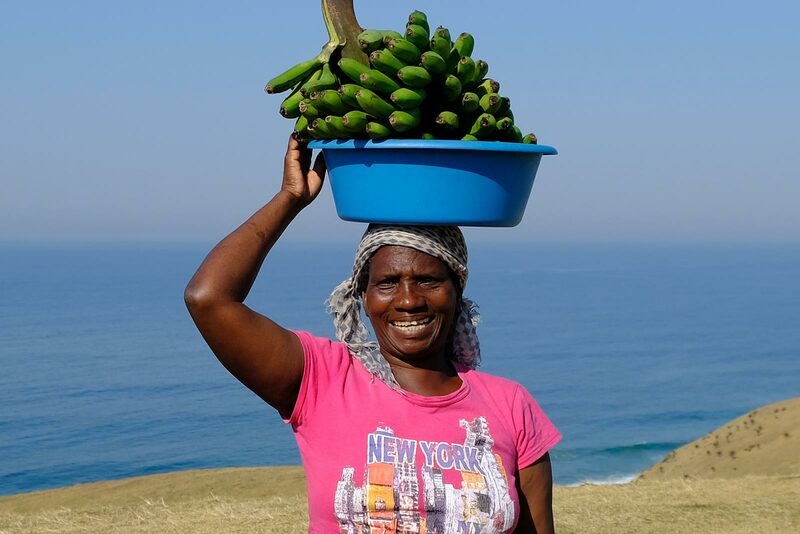 She teaches us a few words in isiXhosa, the language of the Xhosa (pronounced kosa). She dreams of someday having two children, she drives to school by car. ”Maybe one day,” she says. A few kilometers further we reach the legendary Hole in the Wall. The rugged rock with its hole is majestically enthroned in the ocean and inevitably it is clear why many myths surround this fascinatingly beautiful rock formation. Just outside of Coffee Bay we like it really well, so we set up for several days there. Our eyes glide over the endless blue of the ocean, which casts its white waves powerfully against the deserted beach. 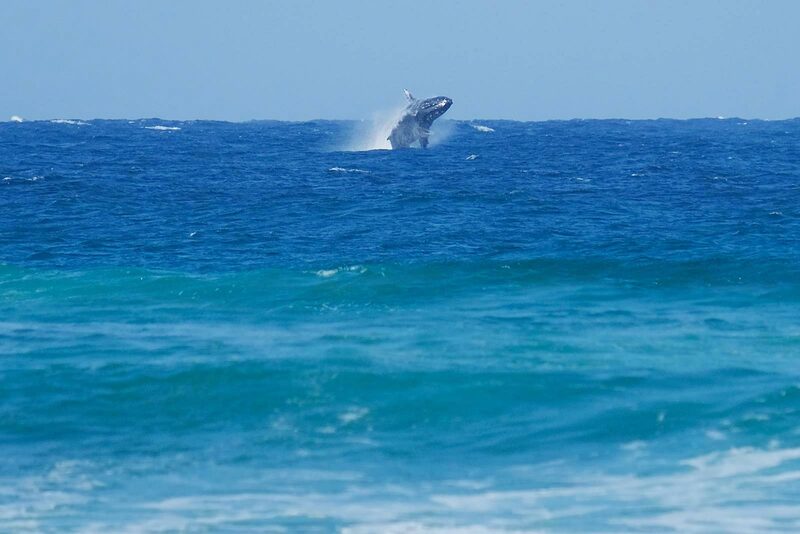 Whales push their massive bodies out of the water and large groups of dolphins swim past us. They follow the huge swarms of billions of sardines that head towards Mozambique and eventually further east into the Indian Ocean. 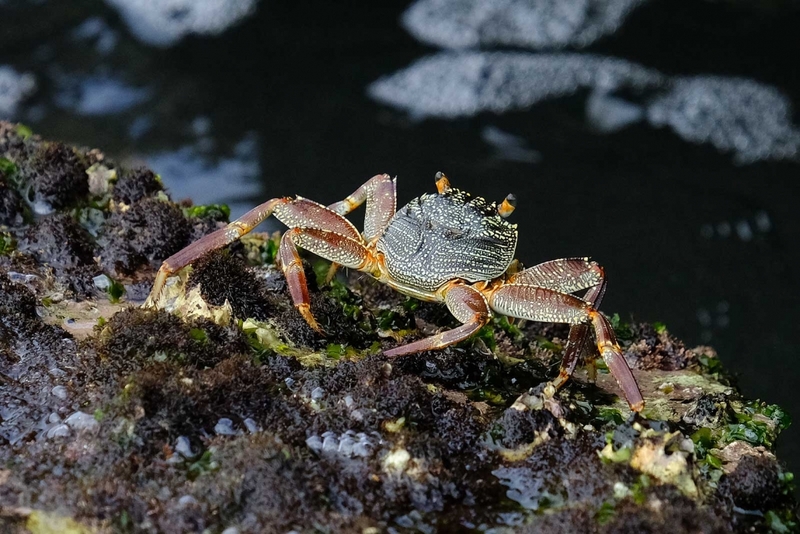 A found food for whales, sharks, dolphins, seals and birds. Almost every year from May to July, this natural phenomenon of the Sardine Run takes place on the coast. 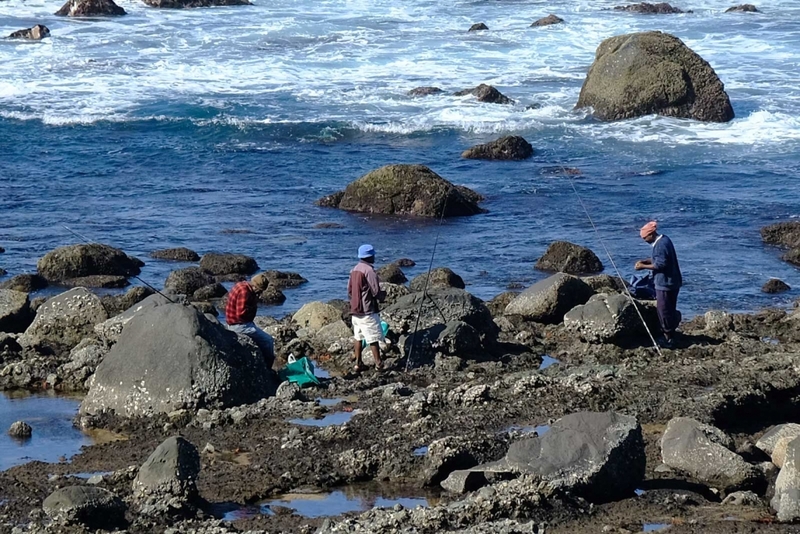 We grill freshly caught crayfish, walk along the varied coast, watch cliff anglers at work, guard the sheep in our front yard and enjoy the bright sun of the pleasantly warm South African winter. And we think about joining the sleighing party of the kids of the village. 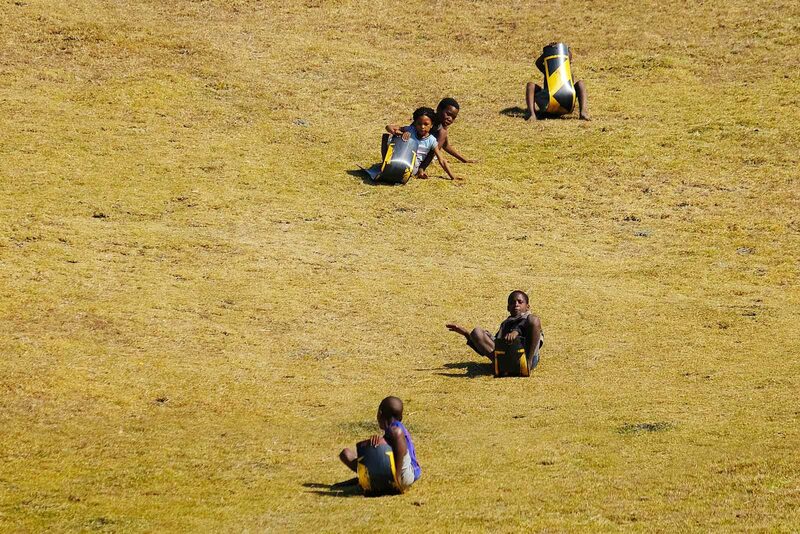 Winter time is sleigh time and it also applies to the children of South Africa. They don’t need snow for it, they just slide down the grassy slope using pracitcal warning signs which usually are barriers at road construction sites. They have a lot of fun with it and the happy laughter of the boys and girls echoes up to us. 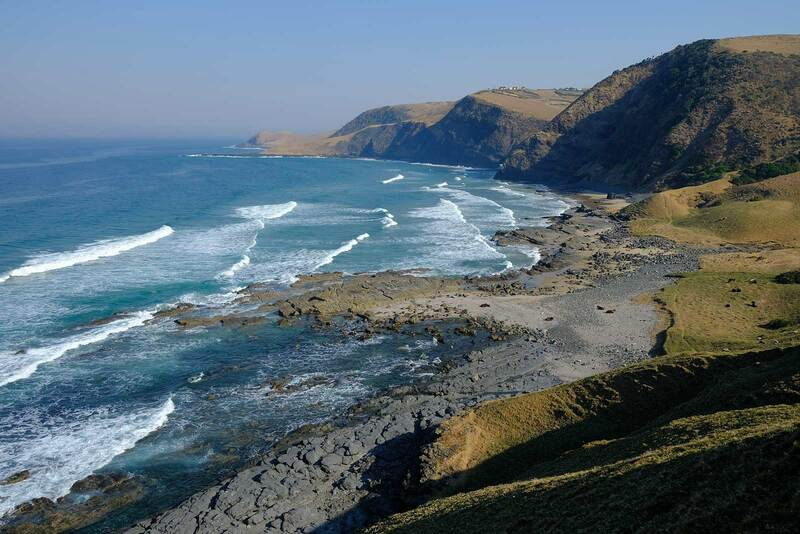 Leaving the gorgeous, wildly romantic Wild Coast we now have to accomplish an important mission and drive opposite direction. 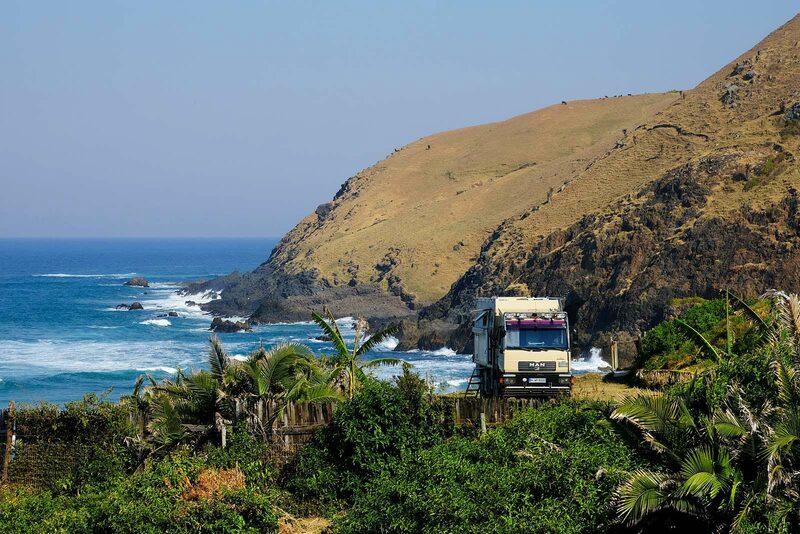 We’ve got to get to the border of Mozambique in the North of South Africa to get our carnets for our truck and our enduro duly stamped at the customs. 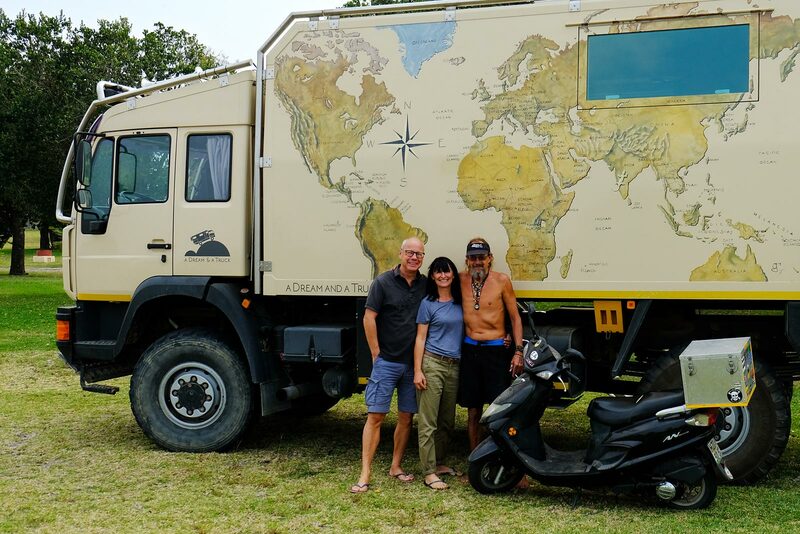 Our dear friends Uli and Bettina from Germany have sent the papers to South Africa and they are now ready for us to pick up at DHL depot in Durban. With no rush we drift north-east along Elephant Coast of Maputaland. 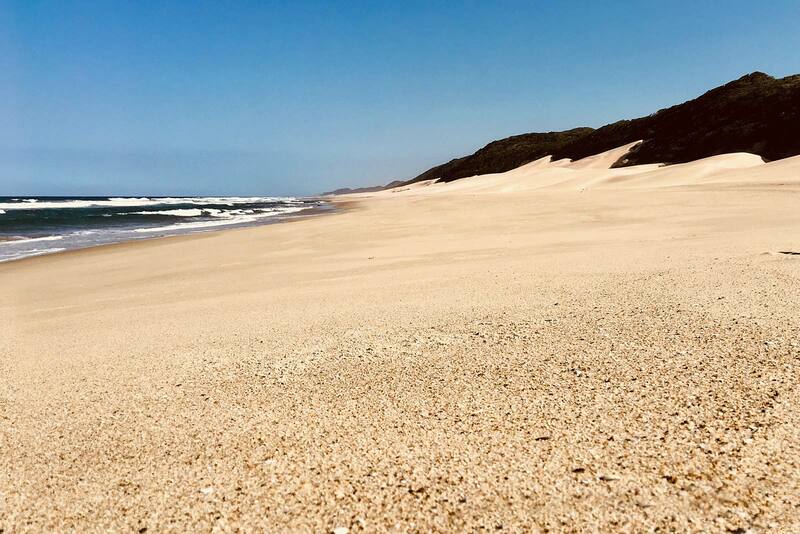 We visit the iSimangaliso Wetland Park, since 1999 UNESCO World Nature Heritage and a very scenic river, lake and coastal area with swamps, subtropical vegetation, miles of sandy beaches, high dunes and a colorful wildlife on land and water. The small beach resort St. Lucia for example is famous for hippos strolling along the roads at night. Warning signs remind you of the danger. During summer masses of vacationers bustle around that place, now we’re alone and share the location with only a few others, mainly divers. Still more quiet than St. Lucia is Sodwana Bay. Mile after mile along the beach we are alone, it is justthe two of us and some seagulls. The refreshing ocean in the front, big dunes behind and our feet can feel the tingling sand. Perfect moments! 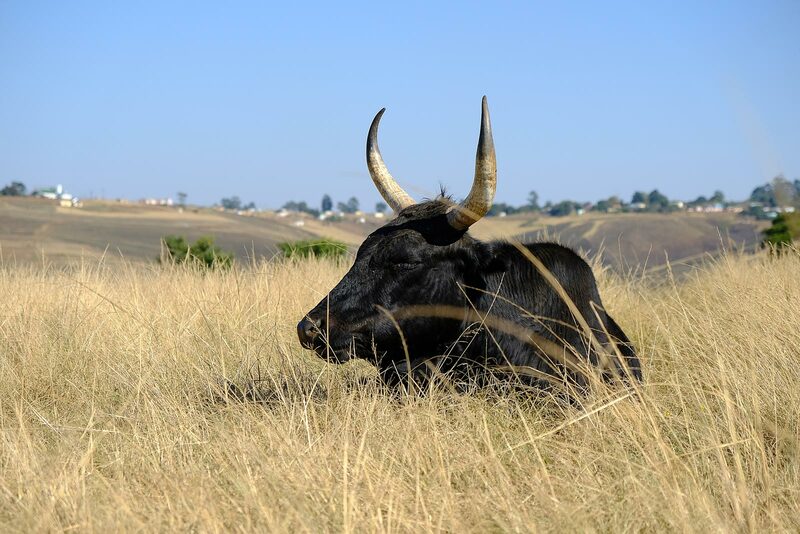 An hour driving from the coast another attraction is waiting for us: Hluhluwe-iMfolozi Park (pronounce: Shoosh-loo-wee em folozzi). 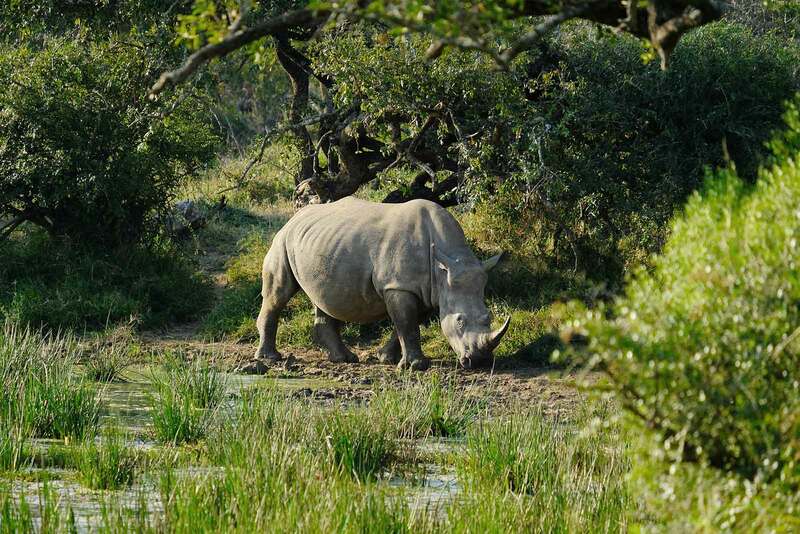 The beautiful park with its 96,000 hectare is home to many exciting animals and also to the Big Five. 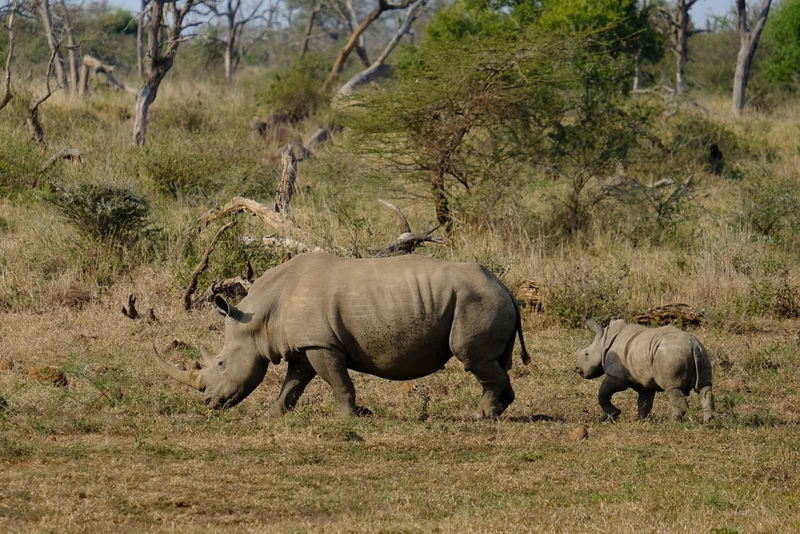 Particularly white rhinos seem to enjoy living here. 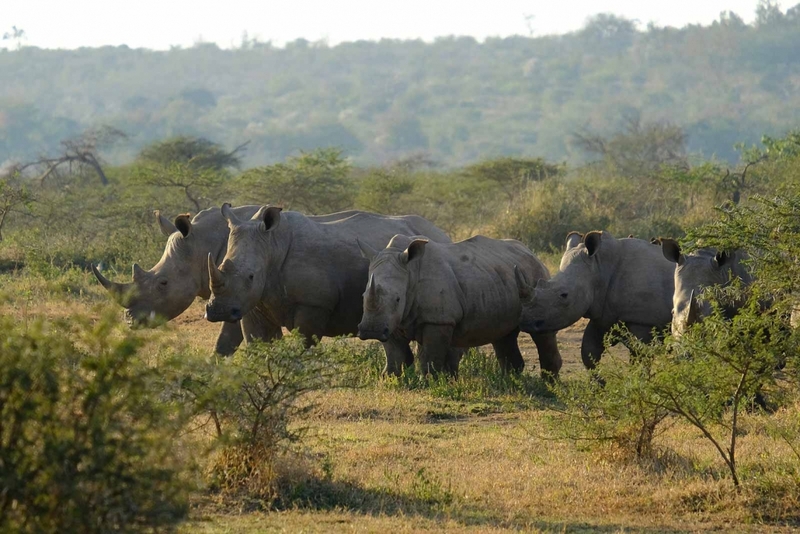 One game drive pleases us with 32 of these impressive creatures. It’s eye candy to watch theme moving their massive bodies with an almost prancing gait. 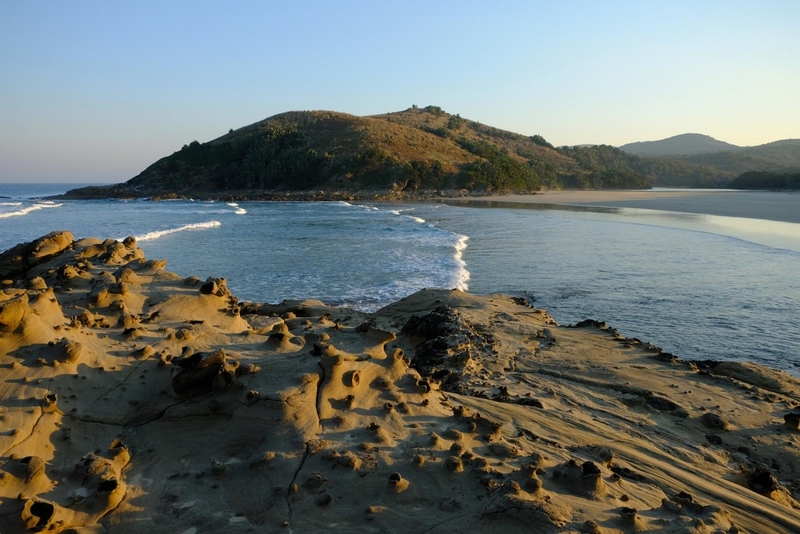 Our last stop before moving to Mozambique is Kosi Bay in the north of KwaZulu-Natal. It’s a special spot not only due to fishing. We consider it special because we have an appointment. Jan, our friend from South Africa, who we’ve met a year ago in Matatiele with his scooter, meanwhile settled down at Kosi Bay and is ecpecting us. The passed years Jan traveled Africa on his scooter and did 31,000 kilometres (!) so far. Not to mention all the experiences he had. Chapeau! We’re happy about our reunion and celebrate it with a grilled tender fish, cooked by Jan himself with a perfect braai. Tender, moist and delicious! To eat fish is one thing, to catch it another. 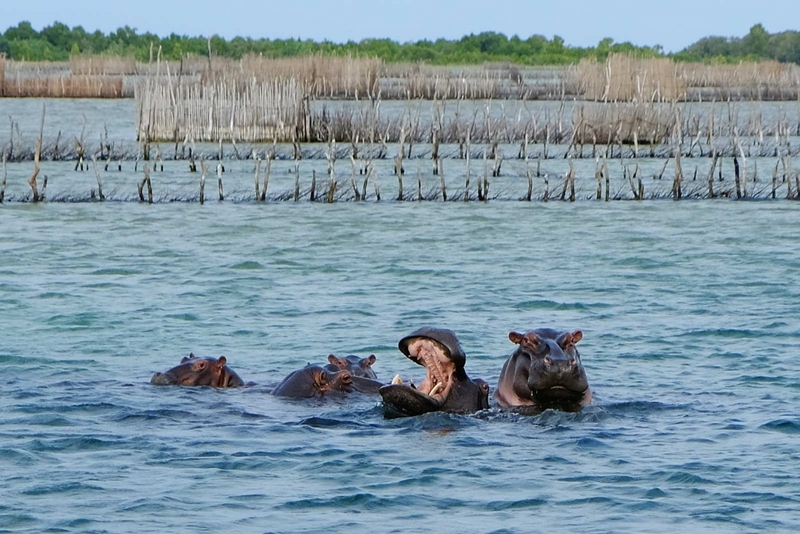 On a boat trip on three of the four lakes of Kosi Bay Nhlakonipo introduces us to an old traditional fishing method which is six centuries old. 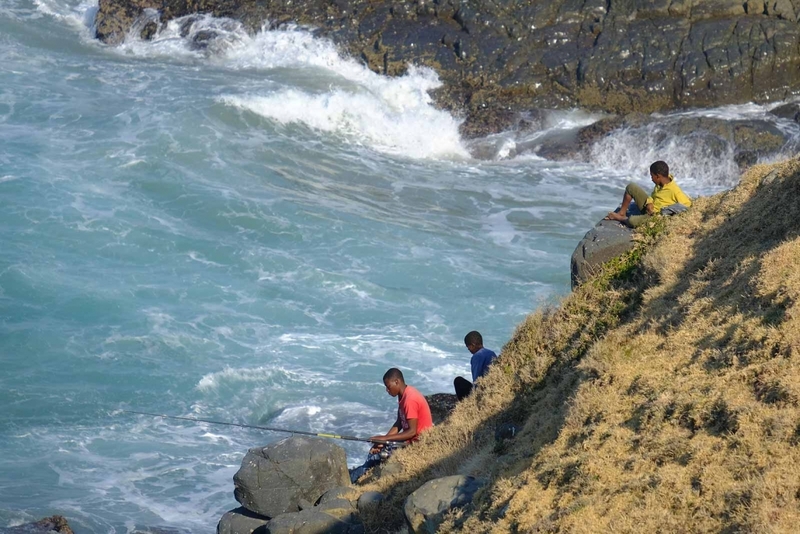 This way to catch fish is called Utshwayelo. 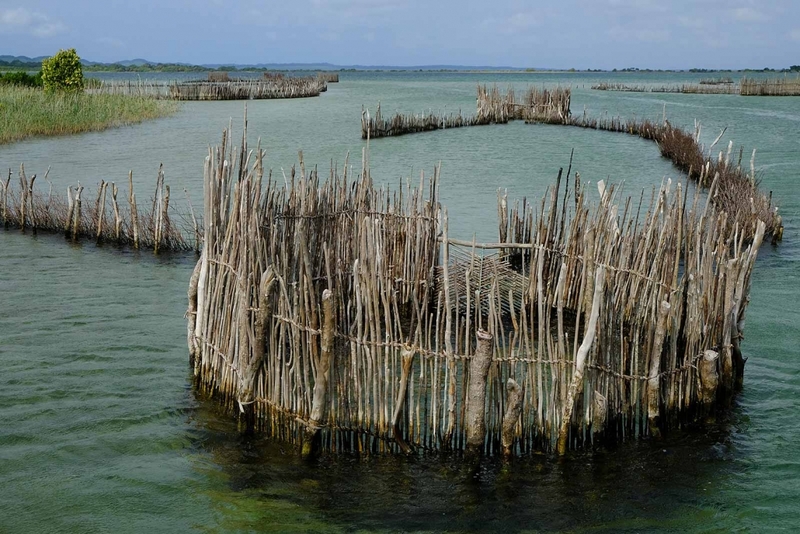 They don’t use fishing rods or nets but fish traps made of flexible wooden fences. The fish float into the fish kraals and are finally “harvested” there. 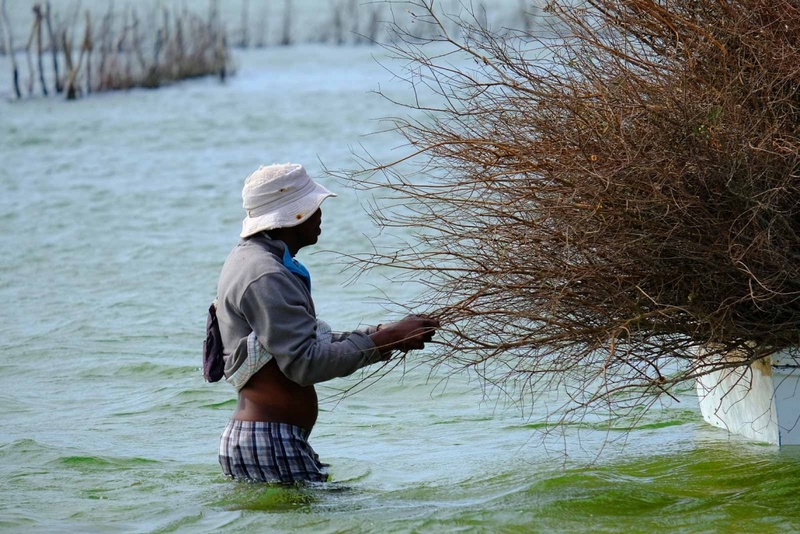 Nowhere else in Africa fish is caught in this gentle and sophisticated way, Nhlakonipo tells us. Very interesting.